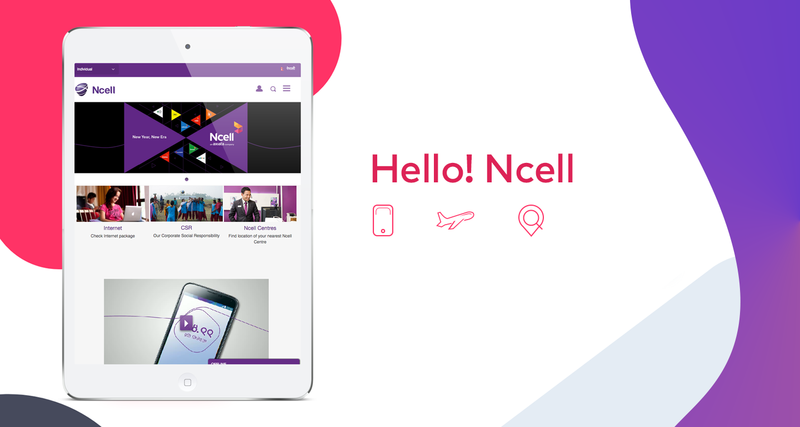 The first private mobile operator in Nepal committed to being the best local mobile network for the people living in the country. 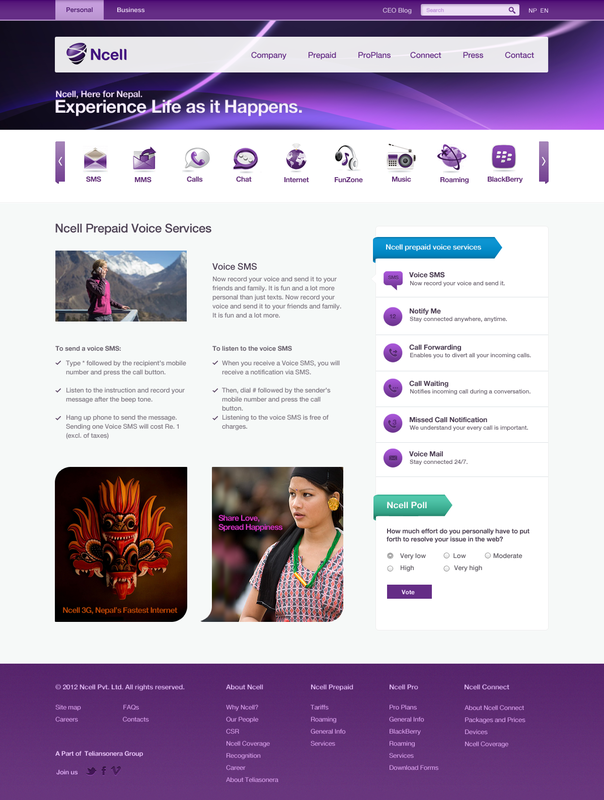 The second largest telco in Nepal was to build most engaging website along with their branding to target mass population. 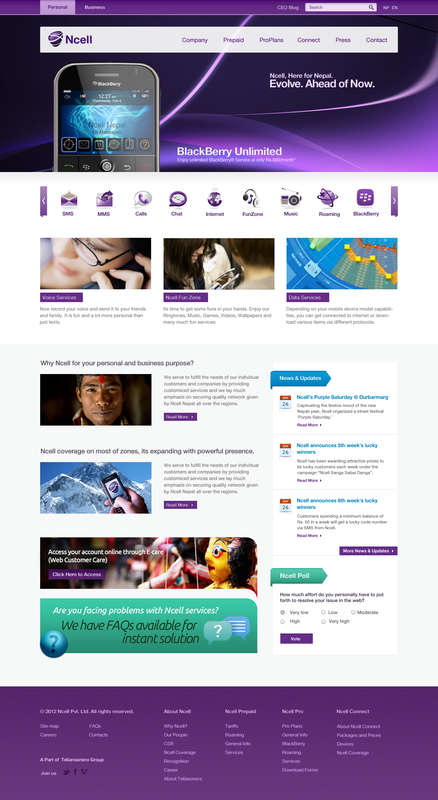 The website was targeted for at least 10 million people using their service. The experience design had the challenge to present a fun and charismatic attention being under the hood of corporate styling. The target was a simplified content presentation in dual language, English, and Nepal well enough to keep them interested. This transformation process took various steps for 11 months, from user research to product design. It had a very long process of user requirements documentation, hundred of sketches and finally visual design elements for each component. 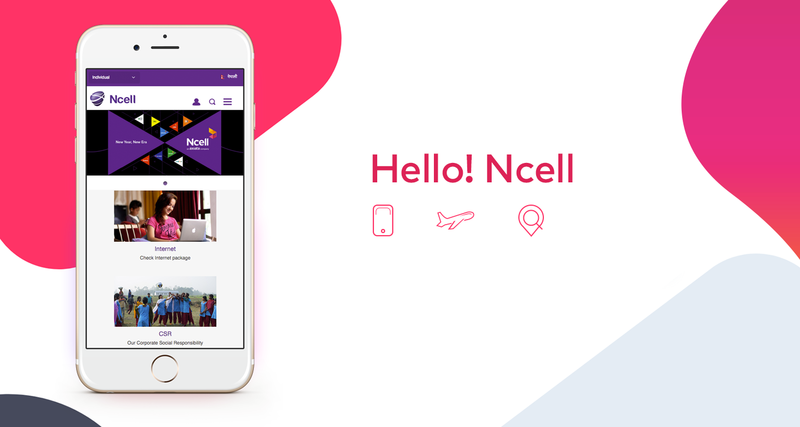 Targeted Audience: 10 million users of Ncell Telecom. It had a huge range of variety in users. 10% user were uneducated and but able to use Facebook and mobile. 30% were business customers, 30% were the student, 20% were working professionals and 10% of them were random users. Idea presentation, conceptual design walkthrough with stakeholders and client. Visual design for the approved prototype and interaction guidelines. Walkthrough stakeholders along the designed user experience journey. Leading visual design team to design the components and interactions. 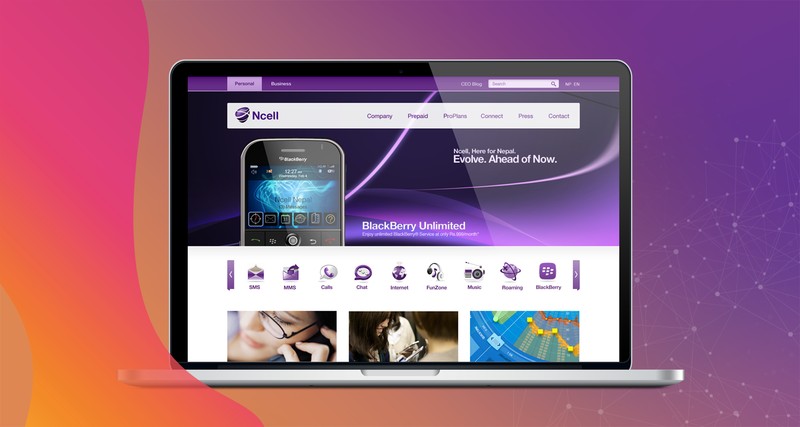 The technical requirements and specifications of the website were created by client Ncell. The stakeholder interviews and workshop were done on their venue to understand the users, expectations, services and product idea. 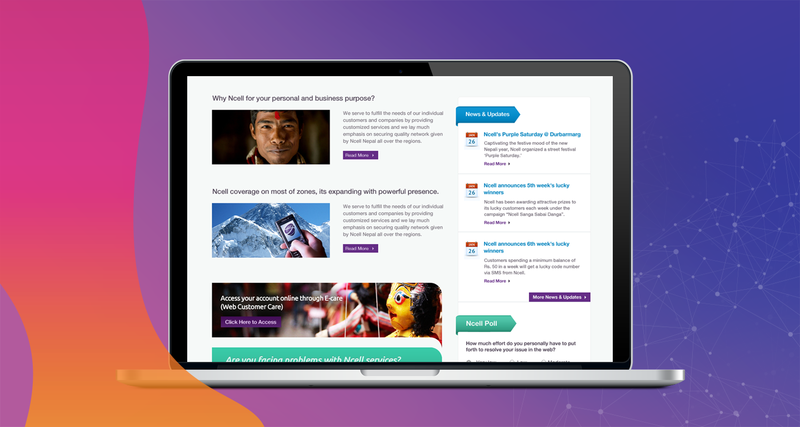 The technical specifications were clear and with interviews and workshop, the user requirements were refined to the better understanding to do prototypes. Starting with user research, information architecture to map out sitemap as another step this experience design. 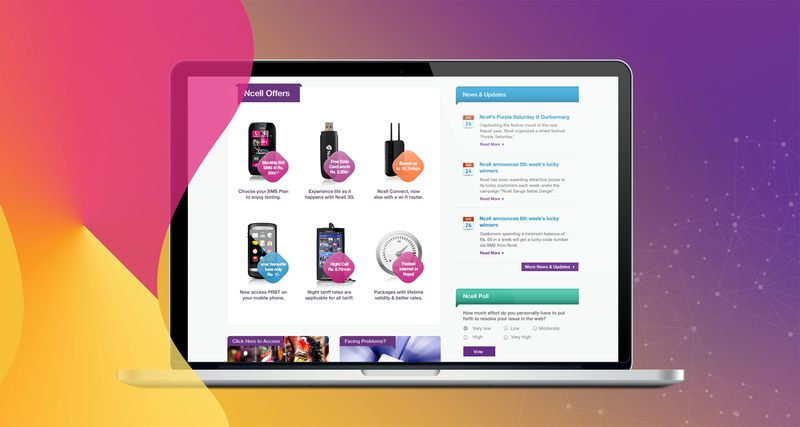 As the website was expected to have a fun fact with visual information and the features like data calculations, package deals, sales, offers, and bilanguage were complex. These execution needed additional workshops with stakeholders to deliver their expected experiences. Another step was to define the sitemap for the website then screen flows with navigation model to be implemented on the web. 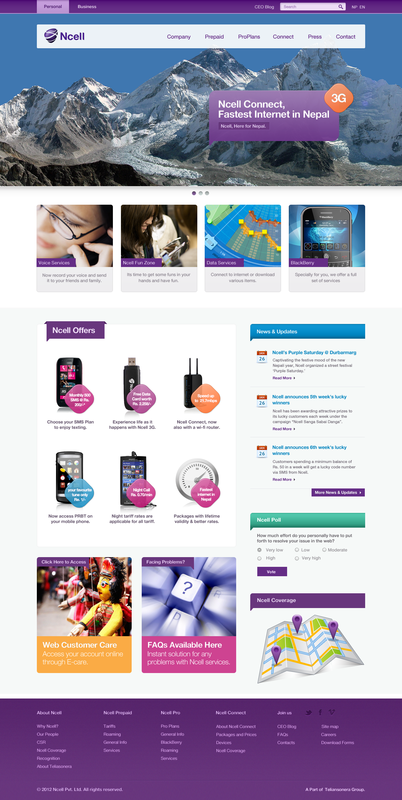 As the website supposed to be responsive to all devices, the different versions of designs were required. The design process started baseline of engaging experience with specific technical requirements, which did not take much time for us to create wireframes sketches to define design solution. The initial sketches were done on paper, enough to proceed forward with the visual design. This process includes the pure design, visual art of each wireframe to convert them to the actual design. The fonts, colors, layouts, icons, labels, and spacing were defined properly to create awesome visual looks. The visual iteration was done few more times till the interactions defined experiences for stakeholders agreed to sign off. The development process was running in agile development method, so it was easier to test the usability among the users in vendor’s testing center. They have real users to test these new features and report the feedback to us, which were updated to acquire the change demands. 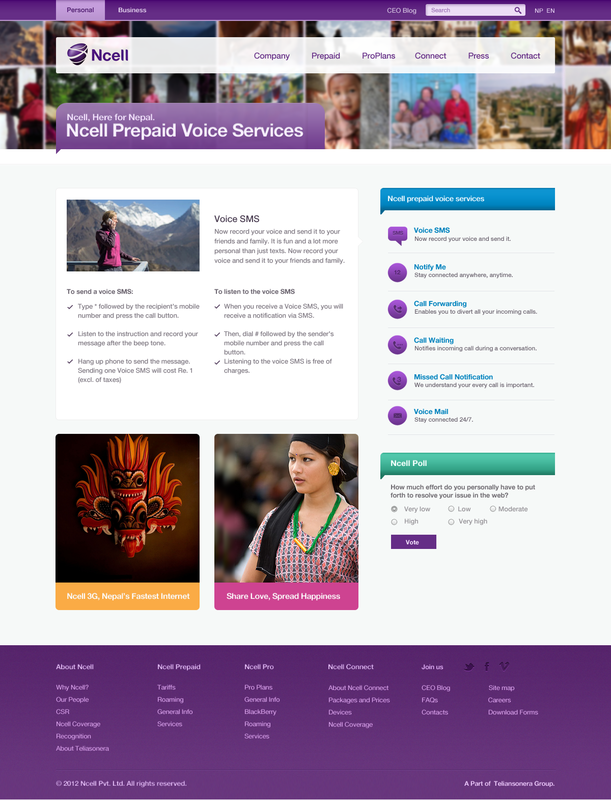 The usability testing was done after each iteration of development were updated. The project took about 8 months to complete with full testing and go live.